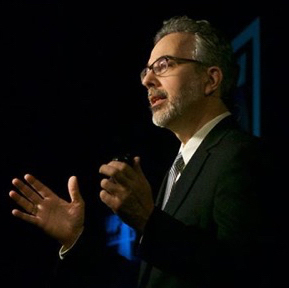 Richard Dolan is a leading researcher, historian, and writer on the subject of UFOs. He is the author of two volumes of history, UFOs and the National Security State, both ground-breaking works which together provide the most factually complete and accessible narrative of the UFO subject available anywhere. He also co-authored a speculative book about the future, A.D. After Disclosure, the first-ever analysis not only of how UFO secrecy might end, but of the all-important question: what happens next? Richard is also the author of UFOs for the 21st Century Mind, a fresh treatment of the entire subject. In it, he discusses the important sightings, the encounters, the politics, the cover-up, ancient aliens, the bizarre science, disclosure, and offers advice on being both critical and open-minded in today’s world. 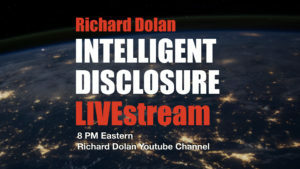 More recently, Richard has written a series of booklets developed from select lectures on such topics as the idea of a secret space program and UFO secrecy and disclosure in the Trump era. In addition to his UFO work, Richard wrote and hosted a series on the phenomenon of false flags for Gaia Television. This ten-episode series is groundbreaking as the first historical perspective of false flags through the ages, events in which governments or other agencies committed horrible and traumatic acts which were then blamed on other parties in order to justify and pursue certain objectives. Richard is currently researching and writing the first-ever history of false flags, with a strong focus on the 20th and 21t centuries. 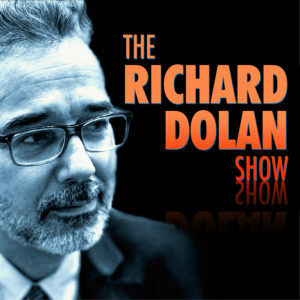 Since 2012, Richard has hosted a weekly radio show, The Richard Dolan Show, on KGRA radio, and currently offers audio podcasts for members of richarddolanmembers.com. He has been featured on numerous television series and documentaries, including Ancient Aliens, Hangar One: The UFO Files, Close Encounters, and many others. He is also a frequent guest on Coast-to-Coast AM with George Noory. Prior to his interest in UFOs, Richard completed his graduate work at the University of Rochester, where he studied U.S. Cold War strategy, European history, and international diplomacy. Before that, he studied at Alfred University and Oxford University, was a finalist for a Rhodes scholarship. In addition to his research, Richard’s company, Richard Dolan Press, actively publishes innovative books by authors from around the world, which can be visited at richarddolanpress.com. As I see there are no comments posted here I thought I would be the first and maybe start something. Who knows. I have been interested in the UFO phenomenon for a few years now and having sifted through all the garbage. I really get extremely angry inside as there is positively an alien presence here, along with years of government corruption which includes not only the proof and physical evidence of this, but the trillions of dollars purloin from pockets of everyone not only in the U.S. but from the entire world. Dolans brilliant and fascinating interview with Catherine Austin Fitts will make any persons blood boil. This is so much more than UFOs and aliens. Dolan opens our eyes to the incredible injustice we have been “tricked” either into or without thought for many years beginning with the 2nd world war. We continue to this day, being fed a treasure trove of absolute garbage, eg: World Trade Centre, I spell it re as I am Canadian. I have an incredibly difficult time finding anything that Dolan has to say incorrect. This is the reason as most of you I’m sure will agree, that his lectures and writing is totally addictive. I see no one has replied to your post so I will. Richard is , as you say, probably the most stable, reliable voice out there. And that’s no mean feat. We only have to look to Linda Howe and her recent forays into secret Apollo missions to see how a lifetime of respect can be undermined in one fell swoop. (I sincerely hope she recovers from this one) Richard cites his father as a yardstick for his early writing, knowing that his dad would not suffer bs. He now has Tracy to keep him on a straight path. They are a formidable team. I think Richard’s focus on the political side of the issue is key to keeping things grounded. As you mention, collaboration with with the likes of CAF help keep the research on real world events rather than other worldly speculation such as when will we all reach a higher vibrational frequency and ascend into our light bodies. Let’s rather ask where all the money is going… Richard’s background as an historian serves him very well in this regard. Personally, I don’t wait for disclosure. We are being drip fed and primed. It won’t be a Big Bang, it’ll be gradual acceptance on our part, followed by admittance on theirs. By then the MSM will have shown enough anomalous footage of flying craft that the public will be used to them. I can’t envisage being told or shown who’s behind them, and I don’t know is how much liberty we will have left to do or say anything in response anyway. . But we need to keep searching nonetheless. Let’s keep fighting the good fight.